The Knossos Palace about to berth last night. Picture: Alan Falzon. 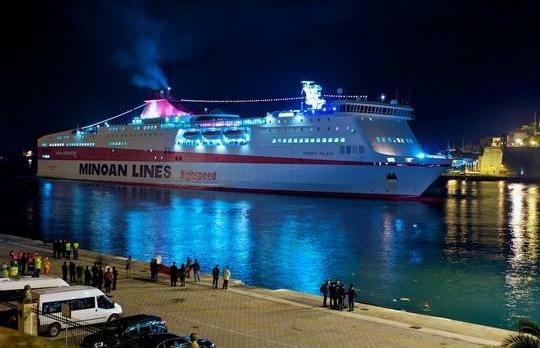 The Greek ferry Knossos Palace arrived in Malta during the night, bringing some 2,000 more workers from Libya. Many are Chinese. Up to three more ferries are expected in harbour today, along with the catamaran Maria Dolores, on its third trip from Tripoli, and the British frigate Cumberland, carrying 200 workers on its second trip from Benghazi. A South Korean frigate which is also picking up workers in Libya is due in harbour tomorrow.